Since we decided to get off the road and park the RV in New Hampshire for the entire Summer we have been doing a lot of White Mountain and Lakes District outdoorsy type of stuff. You know, hiking, fishing, kayaking and such. Sometimes though we get the need to get out of the woods and hit the big city. 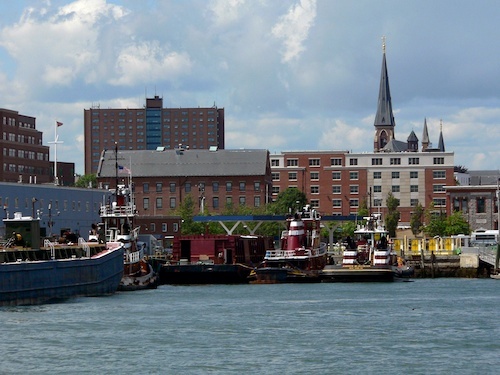 Not too big a city, we don’t want to get too stressed out, so we head to Portland, Maine. It’s only an hour plus from where we are, but it is on the coast and offers a change of scenery from the mountains, and lots to see and do. We have wandered the harbor area and grabbed brunch at our favorite restaurant, The Porthole. It looks kind of dumpy outside, but we can sit out back, enjoy the view and have never been disappointed in the food. Then we can walk across the street and pick up some fresh seafood to take home at the Harbor Fish Market. 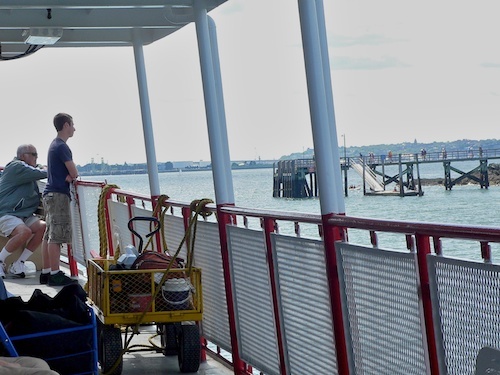 We have taken a ferry ride to tour the islands of Casco Bay. You don’t have to get off on the islands, although you can. 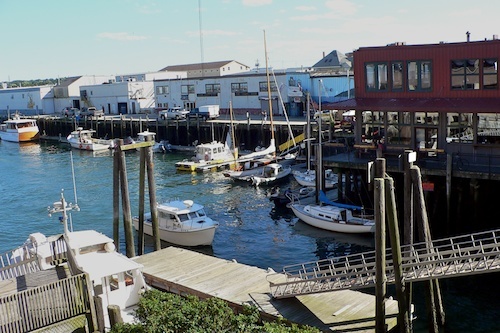 We usually just enjoy the sea air and the views of Portland Harbor, the lighthouses and the sailboats and fishing vessels. There are shops, galleries, restaurants, and tour boats and museums. So, depending on what we are in the mood for, we never lack for something to do. The last time we went in we went to a Sea Dogs game. 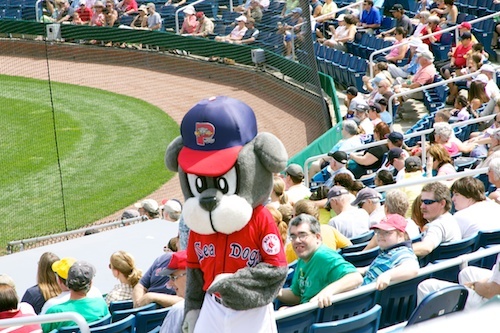 The Portland Sea Dogs are a Double A affiliate of the Boston Red Sox. We like minor league baseball. When we are on the road and near a city that has a team, we will try and see a game. The stadiums are smaller, the tickets inexpensive, the fans are enthusiastic and there is not a multimillion dollar player ego to be found. Just a fun time at the old ballgame with some peanuts and popcorn and crackerjacks, before we get in the car and head back to our RV in the woods. Love the AAA and AA baseball teams! They are a great and inexpensive way to support a team, a town, and the local economy. People are usually friendly, and you don’t have the “big time” crowds and hassles. Would love to see Portland again; it has been many, many years since I’ve been there. Love your posts and pictures! Thank you Homosassa girl! Heard Mark is no longer in charge at AARP, that must be a relief. Will he counsel? Blogging today, hiking tomorrow, then have friends coming in for three days…can’t believe August is gone, gone, gone. We spent several weeks in the Martimes and Newfoundland and started the trip in St. Andrews, loved the place. 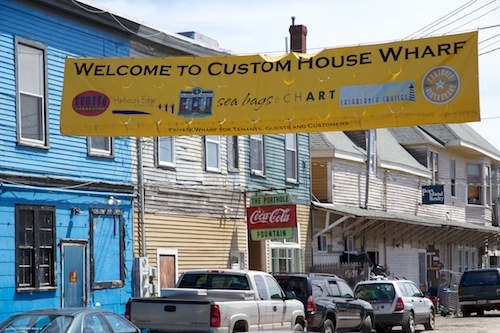 it’s in my fun with Fundy post, here: https://redroaddiaries.com/2012/06/09/fun-at-fundy-in-search-of-the-50-foot-tide/ Ministers Island was a lot of fun. ah ha!! Just enjoyed your post! I am envious of your travels! So totally agree about minor league baseball. I’d choose it over the pro games every time! Wish we were closer to an AA or AAA team. Beautiful pictures too! Thanks, we’ll go to at least one more before we leave. Nice way to while away the day. Enjoy. 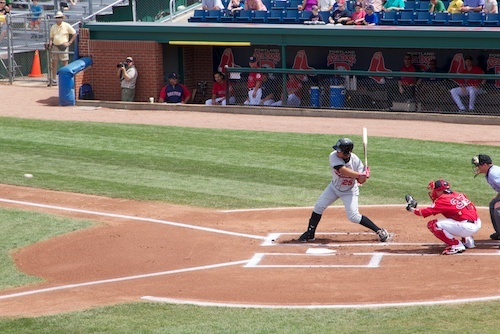 If (when) I get to America I am going to a baseball game, for sure!! I was just in Portland last month for the first time. Loved and we ate at the Porthole…it was awesome. Just thinking about it is making me hungry.